If you haven’t done your taxes yet, you have exactly one week to get them done if you want to file on time. I already filed my taxes back in February and got my refund in March, so I’m going to be stress-free for the next week (at least as far as 2011 taxes are concerned). 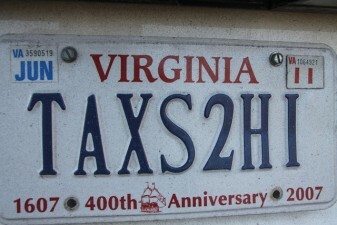 But I’m already looking forward to my 2012 tax burden. I’ve started making a little extra side money from this website and some other online ventures, and I want to make sure I’m not hit with the underpayment penalty next year. What is the Underpayment Penalty? If you owe more than $1,000 when you file your income taxes, you may be charged with an underpayment penalty. The underpayment penalty for non-corporate taxpayers is calculated as the federal short term rate plus 3%, and applies to money earned in each quarter of the year. Luckily with interest rates currently so low, the total underpayment penalty has been either 3% or 4% for every quarter since the beginning of 2010. How Can You Avoid the Underpayment Penalty? If you are making more money this year than you did last year (especially if you’re making money from side businesses that isn’t taxed when you earn it), the best way to ensure you don’t have to pay the underpayment penalty is to make sure you pay at least as much in taxes this year as you did last year. For example, let’s pretend you made $50k in 2011 at your day job and paid $7,000 in federal income tax. Now pretend you start a side business as a sole proprietorship (incorporated businesses are different) in 2012 that does really well and you finish the year with $150,000 in income. This will probably give you a tax bill of about $30,000. If you are hit with a 4% underpayment penalty, that can be as much as $1,200. How can you avoid that penalty? The easiest way is to make sure you have at least as much in taxes withheld as your tax bill in the previous year. In the example, as long as you have $7,000 or more withheld during 2012, you will not pay any underpayment penalty. As much as I hate the income tax, you have to pay it unless you want to go to federal prison. It’s important to remember to plan for paying income taxes. You want to make sure you don’t have to pay a penalty, but you also want to make sure you have enough money to pay your tax bill. In the example I listed above, you can avoid a penalty on your taxes if you have $8,000 withheld throughout the year, but you’ll still need to pay the additional $22,000 before April 15th. Avoiding the penalty doesn’t mean you avoid the taxes. For more specific information about the penalty and how to avoid paying it, you can get information from the IRS website or contact an accountant. 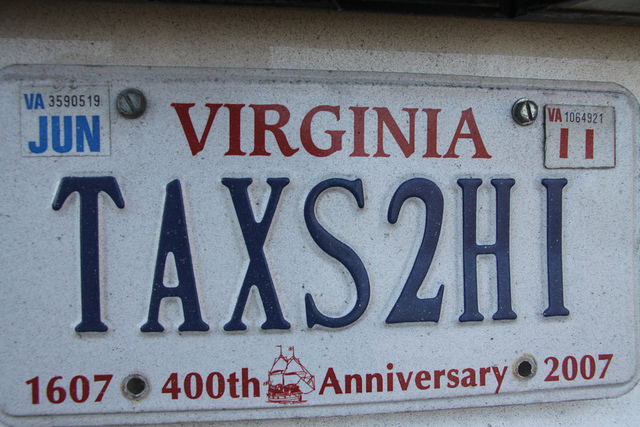 Just a point: Tax day is one week and one day away (April 17) due to Emancipation Day in DC. This is an important article. Also make sure you are withholding enough from your state taxes (if you have them) to avoid a penalty. This can be tricking since you can’t withhold state taxes from unemployment and dividends so you would have to make it up with backup withholding from your paychecks. There is nothing like getting hit for owing the IRS and then getting penalized for it! I’m glad they don’t have this penalty in Canada…as far as I know. I’m putting off paying a big tax bill from my 2011 income. Unfortunately they probably will force me to make quarterly payment this year. The problem is that my side income tailed off towards the end of last year and the start of this year. So I suspect they will try to make me pay a lot more than I need to with those quarterly payments. I just hope I can avoid that somehow. I am a huge nerd and use an excel sheet I made to pre-calc my tax bill so I can withhold the exact* right amount from my paycheck. I learned this the hard way this year. Uncle Sam is $86 richer because of my underpayment penalty.